I haven’t written for a while. I’ve been through a bit of a rough patch and it’s never easy to write about that, or to write about something different when that’s not really what’s on one’s mind. After much thought, I’ve decided that this journey of blogging must be open and honest if my blog is to be what was intended at the start. A platform for us to think differently about the world in which we and our children live, and how we impact on the people around us – to strive for the world that we want for ourselves and our children. South Africa is my home and it is home to my family. It is a crazy beautiful, vibrant place. A place of many cultures and languages. Stories and smiles. Natural beauty and dance. Music and innovation. Hope and ambition. It is also a violent place. A society in turmoil. A society that is in need of leadership. So much better than it was before 1994 in so many ways; but also so very far off from the free, equal, happy and prosperous society that we had hoped for in 1994. I came face to face with this dichotomy when I was recently held up in my home in an armed robbery by fellow South Africans. In my home. While my son was in a room close by with his grandfather and I feared for their safety. The robbers took what they wanted and eventually left. The police came to take statements and open a case number, but I hold no hope of anyone being held to account. And I’m sure that these people have freely gone on to commit other acts of a similar nature to other people. Is this beautiful place where we and our family live, where we are soon to begin building our dream home and where we have set out to make our mark and our imaginings a reality – still the place that I want to call home? I don’t know. Fear and danger are not things that I want for my family. And they make it difficult to feel content and to be happy. Of course, this is all so very complex and I am not the only person in the family to consider! And another country or city cannot just be made to feel like home because we wish it to be so. In the mean time, I have decided on a new project for myself. Everyday, to focus on the little things about my home that make me smile. That make Joburg special, and sometimes even wonderful. So, I’m going to aim, everyday, to capture in a picture something (other than a picture of Fynn who never fails to make me smile even when he makes me mad☺) to do with Joburg that has made me happy. This will require me, everyday, to take notice of and be grateful for all of the wonderful things and good that surround me. And who knows, they may even trigger the same thoughts for someone else? It is for this reason that I will share these pics on my instagram and pinterest account. And just maybe you will decide to do the same? And we will have started a whole new project focusing not just on what needs to be fixed in our world, but also on what is good. And that good is often made up of or by the people who live around us, and the natural beauty of the place in which we live. So, this is the first picture that I will post…. 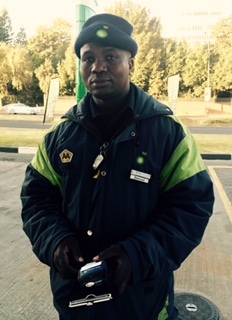 A picture of Samuel (taken and posted here with his permission) who works at the BP garage on Jan Smuts in Hyde Park. I took this picture because Samuel has a fantastic sense of humour and took the time to chat and laugh with me. It was a privilege to meet him. Not only that. The BP garage in Hyde Park is also known for the daily messages that are written on the chalk boards displayed for passers-by in the street. Thought provoking and inspiring, I know of people who make a point of driving past each day even if they don’t need fuel – to see the message of the day. I often do the same. And do you know what Samuel has offered to do? To take a picture of the daily message everyday and whatsapp it to me! How lovely is that! He doesn’t know me from a bar of soap. I have already received 18 messages (today’s message and some previous one’s that he thinks are particularly inspiring). Even if he were never to send me another message – I find this act of generosity and kindness astounding. Something truly wonderful about living in Joburg and calling it home. And what was today’s message? “Wherever you are, be all there”. Hi Aimee â this was sent to Gerrida but I am receiving her mails. You write so beautifully and are really inspiring â how can I receive your posts? 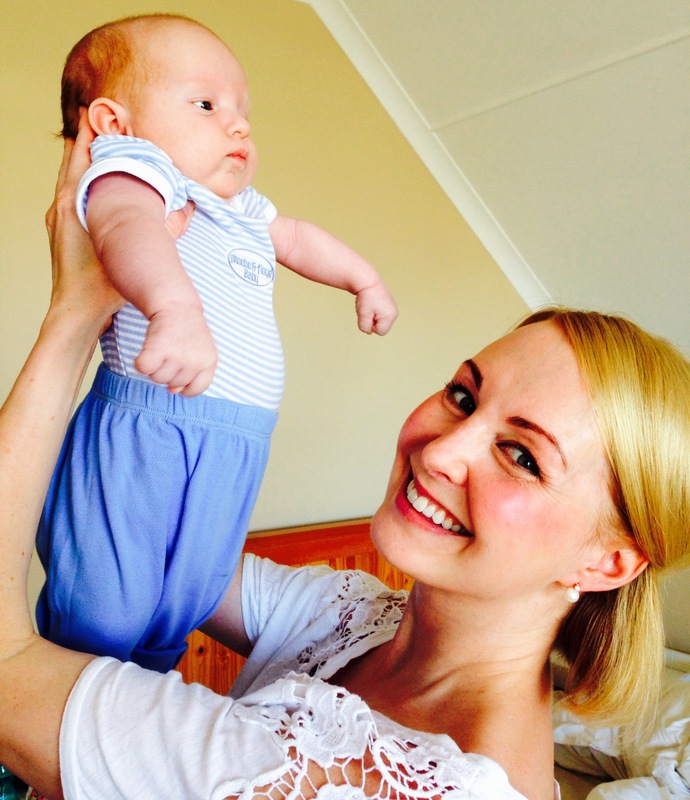 *From:* beingmomdotcom [mailto:comment-reply@wordpress.com] *Sent:* 01 July 2015 07:43 PM *To:* gerrida@diad.co.za *Subject:* [New post] A place to call home.